The long delayed sequel to Crouching Tiger, Hidden Dragon comes out next August on IMAX screens and Netflix at the same time. 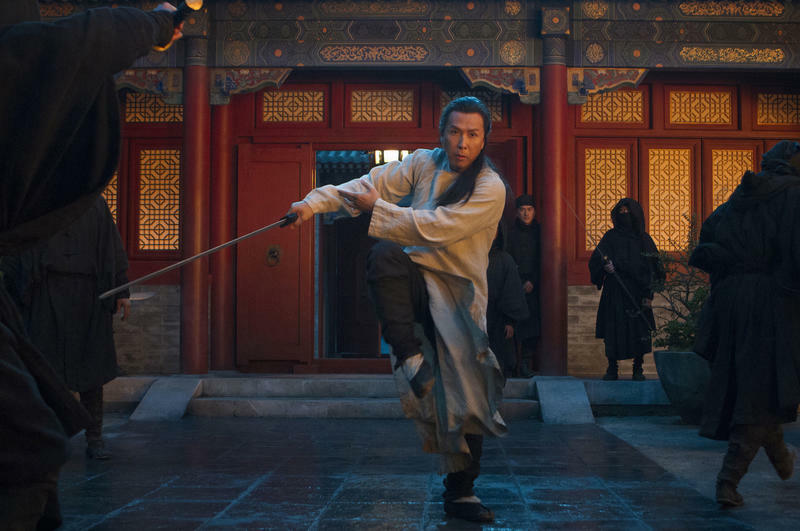 Crouching Tiger, Hidden Dragon: The Green Legend is the long-delayed follow-up to the 2000 Academy Award winning original. Where the first film adapted the fourth book the Crane Iron Pentalogy, the sequel will be based off of the fifth and final book. 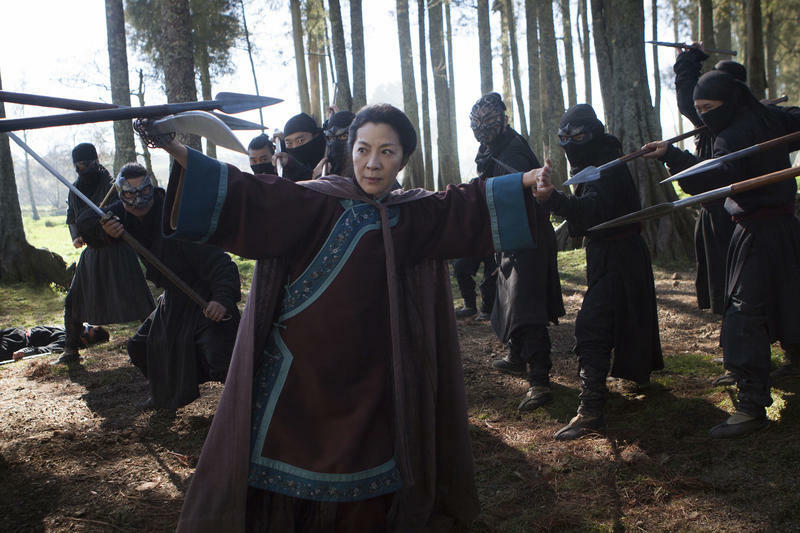 Michelle Yeoh will reprise her role as Yu Shu-Lien, and be joined by Donnie Yen as Silent Wolf. Currently there are around 400 IMAX screens across the U.S. and Canada; Regal accounts for 86 of those screens, and Cinemark for another 14. While AMC is the second biggest chain overall, it actually has the most IMAX theaters and has so far remained quiet on the situation. Crouching Tiger, Hidden Dragon: The Green Legend is not the only film that will fall under this model. Netflix already has a deal in place to fund other future productions and release them to its subscribers the same day as they hit theaters. Considering the backlash this first trial has enjoyed, it will be interesting to see if this is a business model that lasts. Beverly Hills, Ca. and New York, September 29, 2014–Crouching Tiger, Hidden Dragon: The Green Legend, the stunning next chapter in the saga started by the critically and popularly acclaimed Ang Lee martial arts epic, will premiere exclusively on Netflix and in selected global IMAX® theaters on August 28, 2015. Produced by The Weinstein Company, Crouching Tiger, Hidden Dragon: The Green Legend echoes the themes of the original movie, but tells its own story — one of lost love, young love, a legendary sword and one last opportunity at redemption, set against breathtaking action in an epic martial arts battle between good and evil that will decide the fate of the Martial World. Directed by the renowned martial arts choreographer (The Matrix Trilogy and Kill Bill 1&2) and director (Tai Chi Master) Yuen Wo-Ping, Crouching Tiger, Hidden Dragon: The Green Legend stars Michelle Yeoh (Crouching Tiger, Hidden Dragon, The Lady) reprising her role as Yu Shu-Lien and Donnie Yen (Ip Man 1&2, Monkey King 3D) as Silent Wolf. The film is to be the first of several major films backed by Netflix to premiere on the same day on the world’s leading Internet TV network and in select IMAX theaters globally, giving consumers and exhibitors around the world unparalleled flexibility in how, when and where they enjoy a major motion picture. Based on the acclaimed novel, Iron Knight, Silver Vase, by Wang Dulu (book 5 in the Crane-Iron Pentalogy) and written by John Fusco (Marco Polo) the new film is produced by Harvey Weinstein (Academy Award winner – The King’s Speech, The Artist) and Peter Berg (Emmy Award winner – Friday Night Lights; Lone Survivor, Hancock) and Sarah Aubrey (Friday Night Lights; Lone Survivor, Hancock) and executive produced by Morten Tyldum (Headhunters, The Imitation Game), Ralph Winter (X-Men franchise), Anthony Wong, and Bey Logan (The Medallion). Crouching Tiger, Hidden Dragon: The Green Legend also stars Harry Shum Jr (Glee, Revenge of the Green Dragons), Jason Scott Lee (Seventh Son, Hawaii Five-O), Roger Yuan (Bulletproof Monk), Eugenia Yuan (Revenge of the Green Dragons) and newcomer Natasha Liu Bordizzo. Principal photography is now underway in New Zealand. The film’s director of photography is Tom Sigel (Drive, X-Men: Days of Future Past) and design is led by the Academy Award®-winning Lord of the Rings team of costume designer Ngila Dickson, production designer Grant Major and visual effects supervisor Mark Stetson.